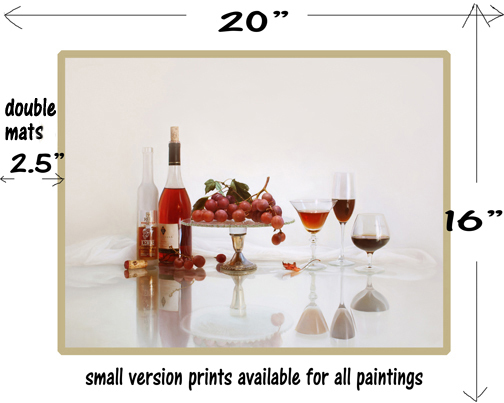 Reproductions are available for all paintings, size 16"x20" ( including double matts ) 3 pieces minimum per order. Shipping in the US only, shipping fee $15 per order. Thanks.